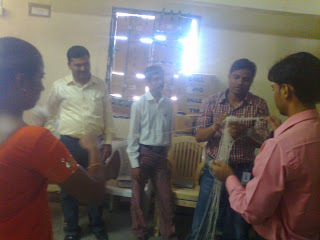 22nd November 2011 Saturday the day started with the training session to velocity staff by Sachet Mehta. Mr. Sachet Mehta had focused the training session on the CORE VALUES of velocity logistics those are performance based opportunity, customer service above all else, respect every individual. After the explanation on core values of mr.sachet Mehta mr.nikhil palod had announced the nominees for Performance based opportunity & customer service above else. Mr.sachetji also told us the importance of gratitude also he had kept small activities by passing a thread saying thanks to the person who you want to say thank to for anything he has done for you Also balloons activities where it showed us the importance that where we all can be winners still we do not do it , he also kept activities like Growth plan Depot manager & his two people so that both can grow. 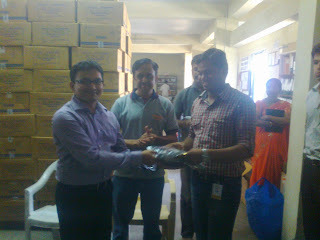 The session ended over with Mr.sanjeev palod distributing the T-shirts to everyone. The Motive behind giving the t-shirts in velocity logistics is every person at one level & no difference between labor, manager as well as owner. T-shirts in velocity will be worn by everyone & everyday. 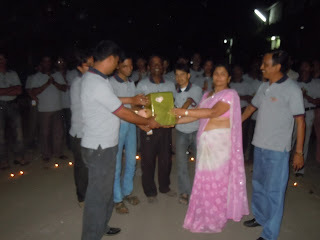 The activity had started from 6 30 pm in velocity logistics in presence of Mrs.sharda palod & Mr.sachet Mehta by doing Pooja of a Mandir in Cabin. 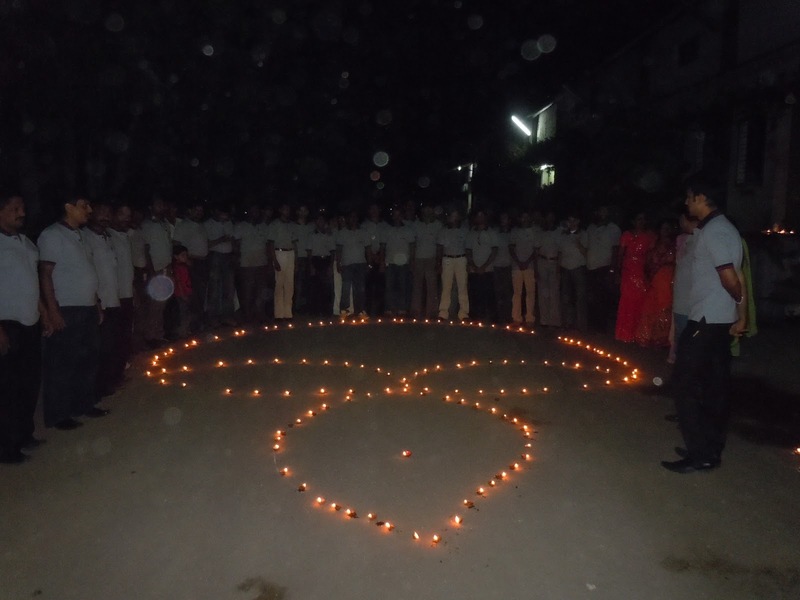 Later, we had kept the Diva’s (candle) in diva’s shape & everyone picked the diva in same shape & stood up in that shape which looked very beautiful & it totally brought in the feeling of a real DIWALI shown the Pictures Below. Performance based opportunity award was given to Ashfak Shaikh with the star on his ID card. Customer service above all else was given to PIDILITE depot for his incredible performance. 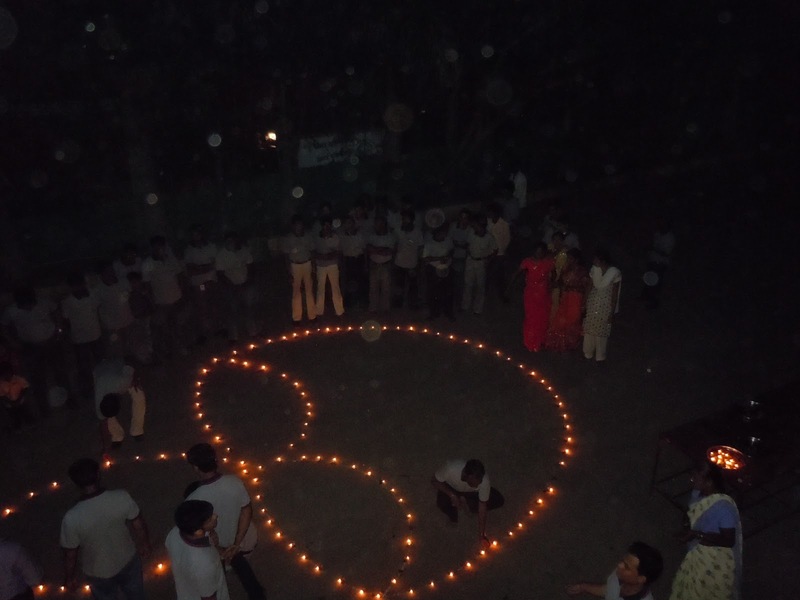 The dandiya event had a great participation of all the employees & they enjoyed to the fullest. Dinner was specially been made by Mrs.sharda palod with maharaj. We thank them for special involvement. In this event we would specially like to thank Vishwanath Patil , Saurabh haldar , Abhijit Kamble , Chetan patil ,kakade, Ashwini & all other staff For the making the event successful. Wockhrtd has done a good sale under pressure.Inspite of last day heavy invoice i.e.upto 700 invoices dispatches has been completed on 3rd Nov. Inspite of Dasara & Diwali holiday team has worked hard & completed the target in given time.DSO has been maintained @ 27 days.Mr. 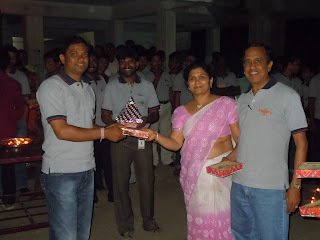 Ashfak has won the star & gift for his good work & performance. 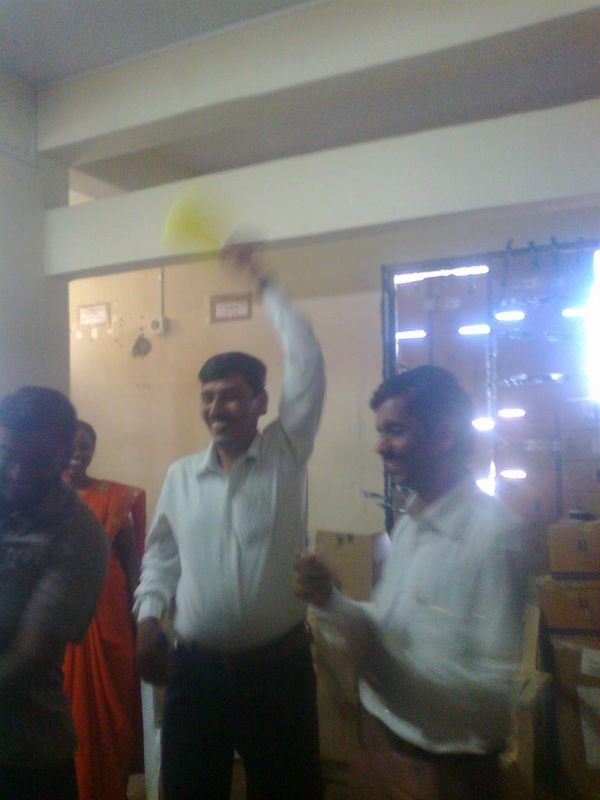 Mr.Pravin Patil has joined as a Operator.All the best for him. Dispatch done successfully on 3rd Nov.
Mr.Pravin Raipure has joined as a Manager in MSCDA. All the best for him. Congratulation to Adani team for achieving 4 marks out of 5 in overall satisfaction level, which was a survey done by Adani officials. 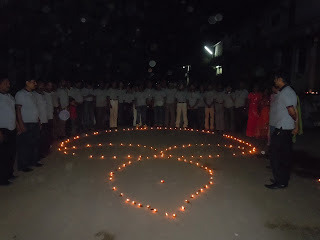 The team has taken target of achieving 100% marks in above survey in future. All the very best for future. Team has achieved a healthy sales mark .Despite of heavy load in bucket days we are successful in achieving 100% dispatch, which was possible because of proper planning and team work. The depot is known for its systematic working culture which they develop by generating innovative ideas. Hence they have organized all the loose SKUs to make the pick n pack more organized and less time consuming. Big round of applause to Mr Ganesh for arranging a training session on pick n pack for the staff to develop new ideas and to maintain a healthy working condition in the depot. Best of luck for the upcoming Audit we all hope that the depot get good remark from the auditor. How to tell your boss he is wrong without offending him. “No sir I don’t agree” is the sentence we generally avoid during our meeting with senior person. But if you present the right case with right attitude your boss will value you as trusted guide. 1) Be careful :- You should prioritized your matter to be discussed with your boss even if one to one meeting is not possible. You should have your own ideas for the task, never follow what other says or do on that task. Never try to dominate the conversation you should suggest, not order. 2) Be sure of yourself:- Honesty and fearless is the right attitude to present yourself in front of boss. You should be certain about your judgment just double check it after being sure present the matter in front of boss which may also condemn your boss thought about the task. 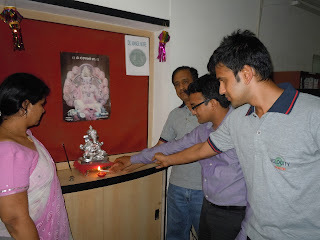 3) Empathize with Boss:- Always remember every one makes mistake even those incharge. Not focus on the boss shortcoming but focus and explain on the effect the mistake will done on the business. 5) Keep an Open Mind:- Be innovative and flexible in your thoughts .Never approach your boss with “Iam right you are wrong attitude”, this will lead to unproductive conversation. This will help in sharing a healthy relationship among each other. 16 OCTOBER of every year has been celebrated as National Boss day. In the new modern age equation between bosses & employee has been changed. In old days the Boss means the person is absolutly inaccessible he is dictator & made sure his word is last word. Today Boss has became a good buddy, who spend time with colleagues listen to their views patiently.He is guide & friend. Modern days Bosses are open minded, they give & share the credit of Success to all the team & take the failure on their own head. The modern days bosses say " My team do not work under me they work with me.We work together for better results." Today is Boss day lets Celebrate is & tell our bosses how much we have learned from them. Attention: In South India The drug Licenses suspended of Retail Chemists. Lupin, Wockhardt /MSCDA/Adroit depots please read it carefully. During the inspection done by Drug inspector of Retail Chemists variance in batch numbers found , while drug inspector asked to submit the invoice copy / purchase bill number of the same the retailer is unable to produce the same as he himself has received different batches that the batches mentioned in invoice.This is a big offense as per FOOD & DRUG Preventive Act.Resulting the retailers Licenses has been suspended . We here by request you to kindly check each & every batch number meticulously before supplying the material & supply correct batch numbers to every stockists. Hope you all understand the importance of above article & will take care while dispatching the material. Dispatches Completed on :03.10.2011 owing to Sunday on 02.10.2011. DSO maintained at 28 days. In spite of heavy sales & work pressure including Unloading - dispatches were completed within the dead line given to team. 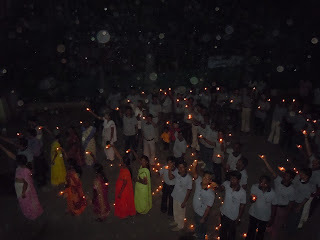 Dispatches were completed by 01.10.2011. It is my Pleasure to share this e-mail received from our C.A. Mr. Pankaj Mandhane,below mail is in reference to training session taken on 08.10.2011 from Life School.This mail is self explanatory. Mayur only did all the efforts to call our clients. Sorry i could not attend the program as i am out of India. may you and your orgnisation keep on growing due to that. 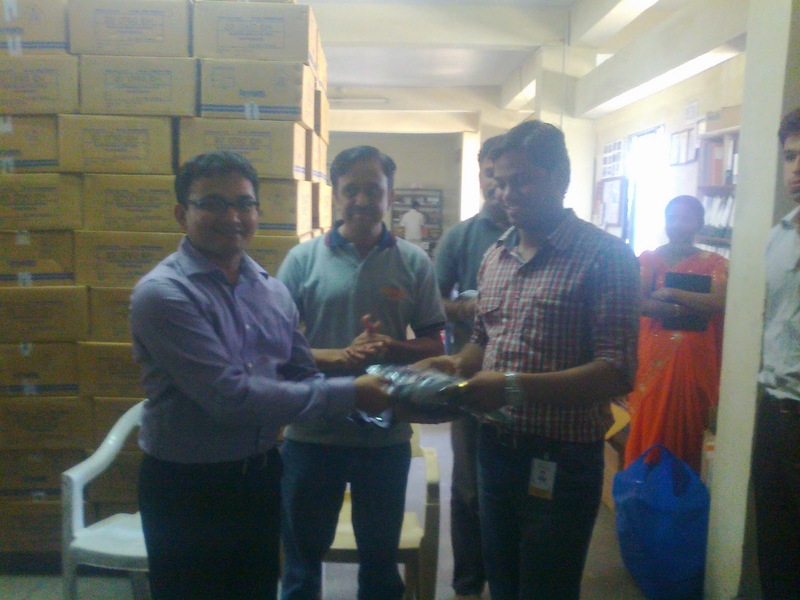 · T-shirt Distribution ceremony from valuable hands of Mr. Sachet Mehta ji. · Prize distribution & motivation for activities taken as customer delight & performance based opportunity. · Dandiya followed by Brunch. 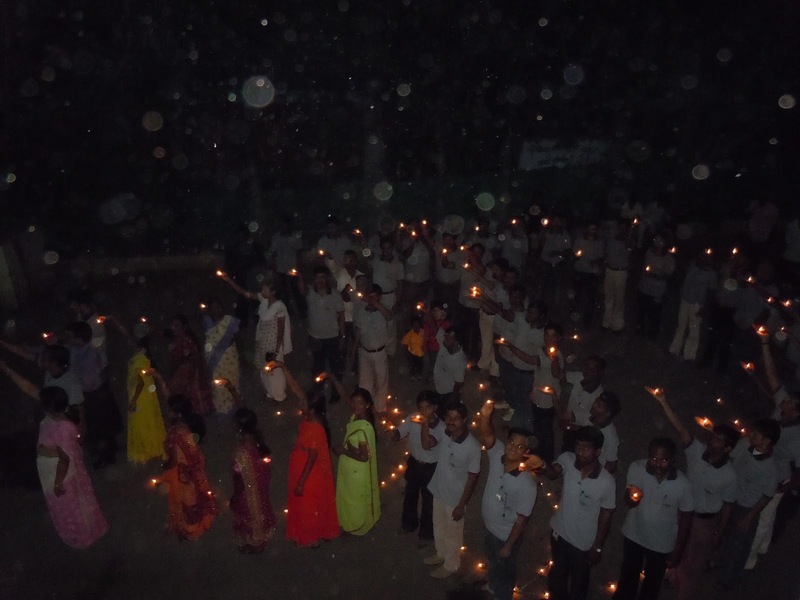 This is a Diwali Festival & all staff must attend these programs. As you all know that a training session has been arranged by Velocity for all depot managers for development & progress of not only organization but also personal. First of all a warm welcome done by all the life scholars’ to those who has came to attend the session, welcome was done by a very nice tune ‘Namaste Namaste Happy morning Happy morning’. Session starts with a video clip of an athlete who has completed the race even after having crams in his legs & his father helps him to complete the same. This shows the commitments towards the goal & work. After this Mr. Santosh has given a welcome speech & taken a refreshing activity by way of leading all the members to sing “Namaste Namaste Happy Morning Happy Morning”, also two line of song ‘Ham honge Kamyab’ Has been sing by all of us, the motto is to increase the confidence. After this owners of different business has been given their speeches peoples like Mr.Tahir Bhai, Mr. Vijay Rathi ,Mr. Kalyani, Mr. Shakti ji Owner of Shakti Sports, Mrs. Rucha Owner of Emphasis placements, owner Naivyadam Restaurant has given their speeches to thank their employees as it is employees because of them these peoples are running the successful business-said all these big peoples. At the end Mr. Naren ji stood up for his speech he has given speech for 20 min. 2. He has explained there is no short cut for success rather than hard work. 3. He has also told us that always be ready for change, you prove yourself & you will defiantly get promoted in your job. 4. He has also updated that there are two ways to out come from the problem a) Easy Way & b)Right way ,always choose the right way for success. 2. Every individual must be respected. 3. Hard work & integrity. 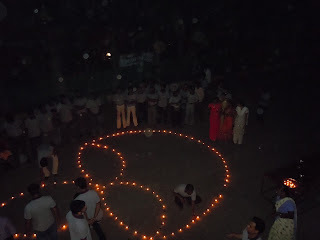 We express our sincerely thanks to our C.A. Mr.Pankaj Mandhane who has arranged this seminar. 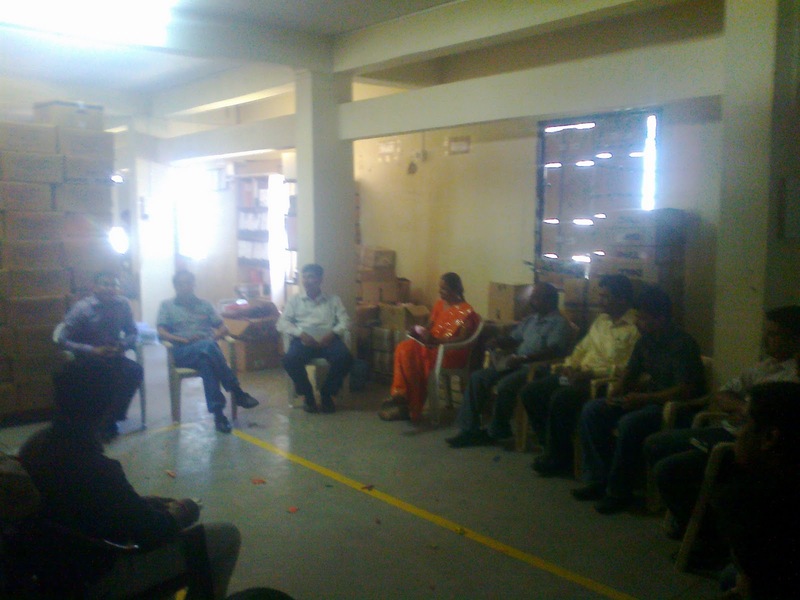 This is pleasure to inform you that a BUSINSS SESSION has been arranged for all the depot manager on Saturday-08.10.2011 at 08.00A.M to 11.00A.M. This session will be taken by well known business advisor & founder of LIFE SCHOOL, Mr. Narendra Goidani who is conducting inspirational training programs from last 12 years, 90000+ peoples around the world are taking advantage of his training programs by way of mails sent by LIFE SCHOOL. This is a golden opportunity to all of us to attend his training program live at Pune. You all are requested to report at 8.00 a.m. on above address. As we all know that we are approaching to new goal to become a ISO 9001-2008 certified company . To achieve this goal we all have to work as a team . It will be a great achievement for all of us. To achieve this goal we have to make a proper study of this system, for this purpose we have arranged a training session of 3 Hrs on Saturday sharp at 8.00am to 11.00am. "If we can dream it we can do it"